This two-day security conference is an opportunity for network and security professionals in UK higher education, further education and research to network with peers, share best practice and address common challenges. You'll also learn more about emerging trends and how we can support members through our range of security products and services. National and regional experts will present on a spectrum of high level security topics including governance, compliance, regulation and business continuity/disaster recovery. This first day will be of interest to chief information security officers, IT directors, chief information officers and information security managers. You'll have the opportunity to meet some of the suppliers who provide security products and services in the exhibition area, and find out what solutions they can provide to your university or college. Hear first-hand how your colleagues in universities and colleges have responded to, and managed, security incidences such as DDoS attacks, phishing and other network security vulnerabilities and developed security best practice to mitigate future incidents. This second day is likely to be of particular interest to network and security managers and technical staff, including incident response teams. The day before the conference we're running a one-day course at the same venue on how to handle a crisis situation under pressure and manage the aftermath of a security breach. Read more about the course. This event is aimed at network and security professionals from higher education, further education and research. Please note that this event is not for commercial organisations. For exhibition and sponsorship opportunities, please email jennie.lamont@jisc.ac.uk. Any commercial representatives registering as delegates will have their registration cancelled. You can find available session resources in our event programme. If you have any questions about this event, contact secconf@jisc.ac.uk. Due to the overwhelming popularity of the previous security conferences, and to ensure we give all eligible organisations a fair chance at attending, we may have to limit a maximum of two delegates per institution per day. To avoid disappointment we strongly advise that you liaise with your team prior to registration in order to decide the most suitable representative to attend the conference. Additional registrants from the same organisation may be put onto a waiting list and contacted should a place become available. Your organisation must be directly connected to the Janet Network to be eligible to attend. Due to the nature of the content at the conference you will be required to bring a government-issued form of photo identification, such as a ID pass, driver‘s license or passport. Please have this ready for when you collect your badge at registration. Khipu Networks are a cyber security company who specialise in delivering wifi, network and security solutions into the education sector. Through the Jisc cyber security frameworks, they provide vulnerability assessments and simulated phishing services with awareness training. Visit their stand to learn more including free vulnerability assessments to Jisc members. Visit the Khipu Networks website. Khipu Networks are sponsors of the drinks reception. Attivo Networks provides accurate detection, analysis, and automated response to in-network threats. The ThreatDefend™ platform efficiently detects advanced, stolen credential, insider, and ransomware attacks within user networks, data centers, cloud, branch, and specialty environments by deceiving attackers into revealing themselves. ThreatOps™ playbooks and third party integrations provide accelerated incident response. 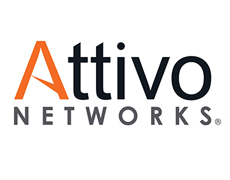 Visit the Attivo Networks website. Axians have worked with universities for many years and specialise in helping these complex organisations to develop carrier-grade network connectivity and security that successfully delivers a better experience for both students and researchers. CDW has a deep commitment to increasing the level of IT solutions and services they offer to new and existing multi-national customers. In addition to delivering industry leading software solutions, CDW is a premier provider of technology products and services for business, government and education. With their integrated portfolio and industry-leading threat intelligence, Cisco Security gives you the scale and capabilities to deal with cyber threats. Cisco prioritises security across everything, so you can innovate, whilst they keep your assets safe. Only with Cisco can you attain effective network security to face tomorrow’s evolving threats. Fortinet is a worldwide leading provider of network security appliances. Their products and subscription services provide broad, integrated and high-performance protection against dynamic security threats while simplifying the IT security infrastructure. Their customers include enterprises, service providers and government entities worldwide. Infoblox is the leader in secure cloud-managed network services. They bring next-level security, reliability and automation to cloud and hybrid systems, managed through a single pane of glass. Infoblox has 8,000 customers, including 350 of the Fortune 500, representing 50 percent market share in the DDI space. NETSCOUT transforms and accelerates the way their customers deliver, deploy, and secure services and applications across physical, virtual, and cloud environments. This is achieved using their proprietary Smart Data technology, which distills real time, precise, and relevant intelligence from all connected services and interactions. 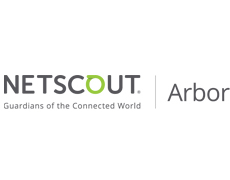 Visit the NETSCOUT Arbor website. Panda Security is an innovative provider of advanced cyber security solutions, with 30 years of innovation which has marked some of the most important advances in the world of cyber security. Their Panda Adaptive Defense 360 model is a reinvention of cyber security, enabling Panda Security to stay ahead of cybercriminals. Visit the Panda Security website. Today, just over half of higher and further education across the UK trusts Sophos to deliver simple solutions to complex security challenges. 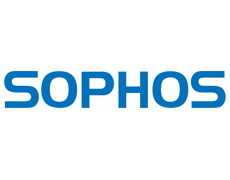 Focused on innovation and backed by a global network of SophosLabs threat intelligence centers and industry-leading support, Sophos delivers solutions that are simple to deploy, maintain, and manage, enabling institutions to focus on enabling their students to be the brightest they can be. Sophos - cyber security made simple.